Village house on mains drainage, original fireplace and beams and contemporary extension. . . .
Remalard - Perche National Park. Amazing Equestrian property with 70 acres of land and . . . Elegant town house on edge of a small town in the Perche National Park – rural views and . . . Spacious town house - Perche National Park. 3 bed village house on the edge of the forest, pretty village - stunning scenery. Spacious village house. Set at the foot of the wonderful Reno Valdieu forest and Chateau as a . . .
Boissy Maugis, 2 bed house with potential set in an acre. Hamlet location , 2 bed property in peaceful location in an acre of gardens with views. . . .
Bretoncelles . Wonderful location in heart of the Perche National Park, farmhouse in 2 acres of grounds with superb view. Magical location , 2 acre part wooded and a paddock, fully renovated comfortable 5 bed home. . . .
Boissy Maugis 4 bed hamlet house , great location in Perche National Park close to the forest. Hamlet house in the Perche National Park. Popular location set in beautiful countryside at . . . 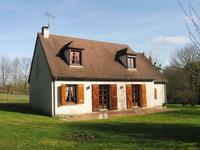 Pretty hamlet close to the forest and many walks, charming house and maison d'ami completely . 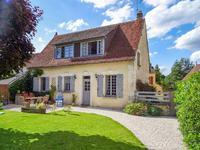 . .
Boissy Maugis Hamlet house with south facing garden , great location in Perche National Park close to the forest. Wonderful location - Hamlet house to update. Most popular location in the Perche National . . .
Hamlet location, 5 bed house built in 2010 in a 2000m² plot set in beautiful countryside. . . . Excellent condition throughout. The property built in 2010 offers 170m² of living space with . 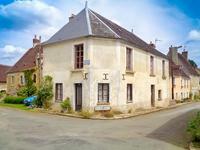 . .
Beautiful location - Boissy Maugis Hamlet house in need of updating , great tourist location in Perche National Park. Wonderful location - Hamlet house to update. Most popular location in the National Park, set . . .